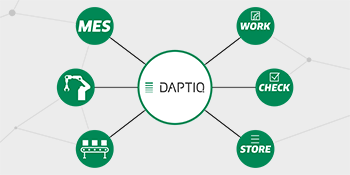 DAPTIQ - the new label for the world of Industry 4.0. DAPTIQ solutions can be integrated in so many different and diverse system environments. They improve efficiency and dependability of workflows in three crucial areas – and unleash additional optimising potential and greater safety and security for the company in question. STAHLWILLE calls this triple system environment WORK, CHECK and STORE. The Reading Station DAPTIQ by STAHLWILLE has redefined asset control. In applications where regular checks for completeness are indispensable, this system provides much improved safety, security and efficiency. Using the integrated wireless module, MANOSKOP® 766 DAPTIQ can communicate bidirectionally with other tools, appliances and the PPC and, in this way, receive instructions and settings. An ideal capability in production in the context of Industry 4.0. The SmartCheck DAPTIQ torque tester has an interface and uses RFID technology to recognise other tools when they are in range. This releases the user from superfluous processing steps, guarantees faster inspection and ensures the readings are always correctly assigned to the tool being inspected. The automatic perfectControl DAPTIQ calibrating unit is easy to integrate in the CAQ system by means of the TORKMASTER software supplied and is equipped with an RFID reader to enable it to detect tools. This speeds up workflows in the calibration laboratory and increases efficiency. STAHLWILLE is continuing to add to its DAPTIQ range. Products that promise to deliver added value to customers in connection with networked production will, in future, always be available as DAPTIQ versions. The TORSIOTRONIC is the first in the list. Anything that can be digitalised will be digitalised. Anything that can be interconnected will be interconnected. That is the essence of the current megatrend towards digitalisation. What does this mean for STAHLWILLE? The fourth industrial revolution is having a considerable influence on activities within STAHLWILLE. As a leading innovator and pacesetter in the field of torque technology, we have been developing our torque tools, measurement devices, calibration devices and software solutions from a strategic viewpoint for some time. But what exactly are we doing to respond to the idea of networking workflows in production and service? How are we reacting to the challenges presented by production supervision and control systems? 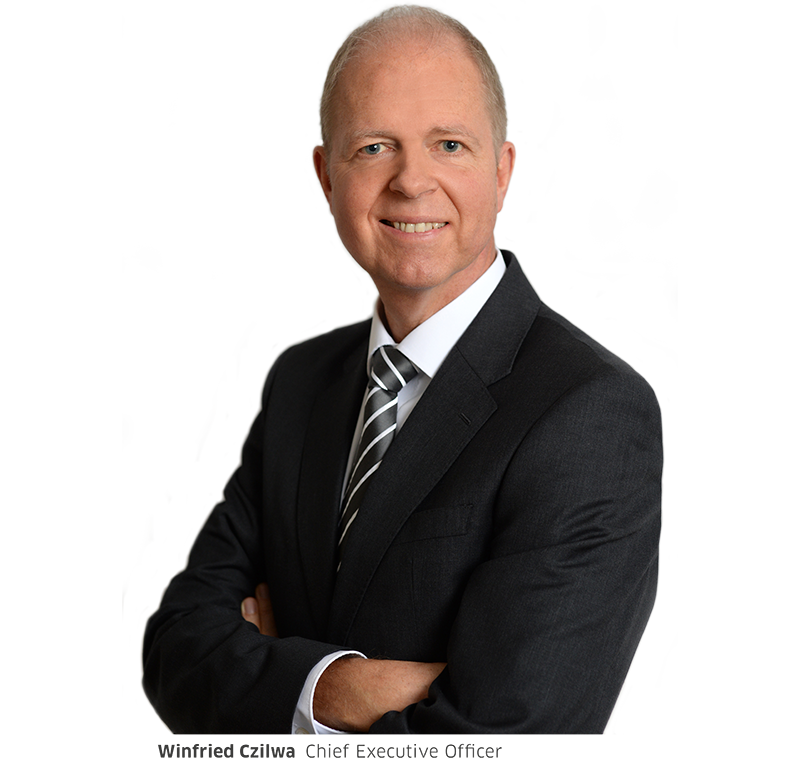 The answer is quite simple: through our strategic »Industry 4.0« approach! We have taken a role as pioneers and this has once again led to new paths. The result of this is DAPTIQ, our new label for interconnective systems made by STAHLWILLE to enable users to reap the benefits of digitalisation and considerably increase efficiency and process capability by integrating them in their own systems. This, our first, DAPTIQ portfolio is intended to show you the smart solutions we currently have available – whether in the field of torque tools or asset control in tool storage systems. We are already looking forward to developing more networked and integration-capable solutions together with you. We trust you will find inspiration in the interconnectivity to be discovered here. Let DAPTIQ capture your imagination! Being able to link tools into a customer’s digital network is a decisive benefi t to the customer. Data exchange, storage, archiving and evaluation produce greater levels of safety, security and efficiency – not only in production and maintenance, but also in tool asset management. The name 'STAHLWILLE' is a byword for premium-class product technology. This can be demonstrated using many examples – from mechanical and electromechanical trigger mechanisms to integration-capable tools. 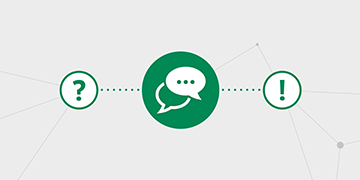 The focus is always on customer benefit – and that, understandably, includes DAPTIQ solutions. The ability to exchange data in realtime and communication between products and with the central production control system makes tools smart and helps to organise workflows more efficiently while preventing errors. This also includes linking to augmented reality systems – as used for intelligent worker guidance. Intelligent worker guidance and more. A production planning and control system (PPC) is frequently a core element in today’s production environments. Tool solutions like the MANOSKOP® 766 DAPTIQ permit such systems to steer processes and workflows more securely and more efficiently and truncate induction times. The PPC can transmit messages to the display on the MANOSKOP®, give instructions, read out data and adjust settings. It is also perfectly realistic to use the tool in a mixed reality environment. Based on the realtime data the MANOSKOP® 766 DAPTIQ sends to the PPC in conjunction with the fastener sequences stored in the PPC, the fastener location, instructions and results of the tightening action can be transmitted live to the worker by means of an AR visor. The worker sees both the position of the fastener displayed on the visor and the torque that he or she is applying. This allows the human error factor to be reduced to a minimum. In the process, the PPC automatically has access to all the fastener details – they are securely documented at a central location without any further action by the user. The tighter the process cycles are, the more important proactive scheduling of test-equipment inspection becomes. This is why STAHLWILLE allows the TORKMASTER software – and with it the intelligence behind the fully automatic calibrating unit perfectControl – to be linked to the IMTE management or CAQ system. If the CAQ system recognises that a particular tool is due for a scheduled calibration, it can trigger a corresponding process. The user simply has to place the tool in the calibrating unit. Tagged torque wrenches are detected here as soon as they are in range. All the preparatory testing and calibrating settings are then selected automatically by the perfectControl unit. As soon as calibration has been completed, the corresponding data is available to the system for logging. The same applies to checks to see if a tool is still operating within the tolerances. The SmartCheck DAPTIQ tester can also be linked to the CAQ system. More security with asset control. Asset control is an essential process in many companies. Wherever a mislaid or forgotten part might lead to damage later, this is mandatory. But that is not all: the quicker a missing item is detected, the shorter the downtime if a replacement has to be procured and the less time spent away from the job site. The Tool Trolley DAPTIQ now makes just-in-time asset control possible: the user simply places the trolley in the Reading Station DAPTIQ, which then scans the trolley and the tools contained in it using RFID, compares the actual and anticipated data and records the results. Any loss is immediately detected. Set course for a new world. STAHLWILLE is renowned for its customer-orientated approach. Launching products and solutions jointly with our customers is part of this enterprise’s DNA. DAPTIQ solutions are no different in this respect. If you need us, please contact STAHLWILLE staff, who will be pleased to assist. A company wishing to integrate network-capable tool solutions in its processes – whether in production, quality assurance, test-equipment inspection, tool management or some other field – can do no better than choose DAPTIQ. All DAPTIQ products and solutions can be controlled directly by the appropriate systems and integrated into them. For STAHLWILLE, relations with customers have always gone beyond just selling a product. Just contact our team of experts. They are always available and will be pleased to find the right solution for you. Any company that needs more information about the opportunities afforded by networking, about how DAPTIQ can be used to good effect in its own work environment, can count on STAHLWILLE experts to provide answers relating to digitalisation, networking and Industry 4.0. They will also be pleased to support you in planning and implementing your integration moves using DAPTIQ solutions. Find out more in our DAPTIQ brochure. Have you got any queries about DAPTIQ or would like to receive the DAPTIQ brochure?